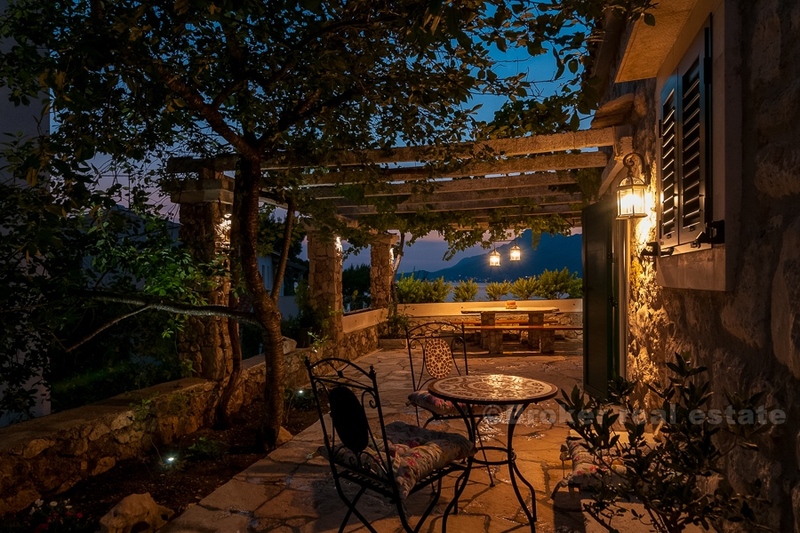 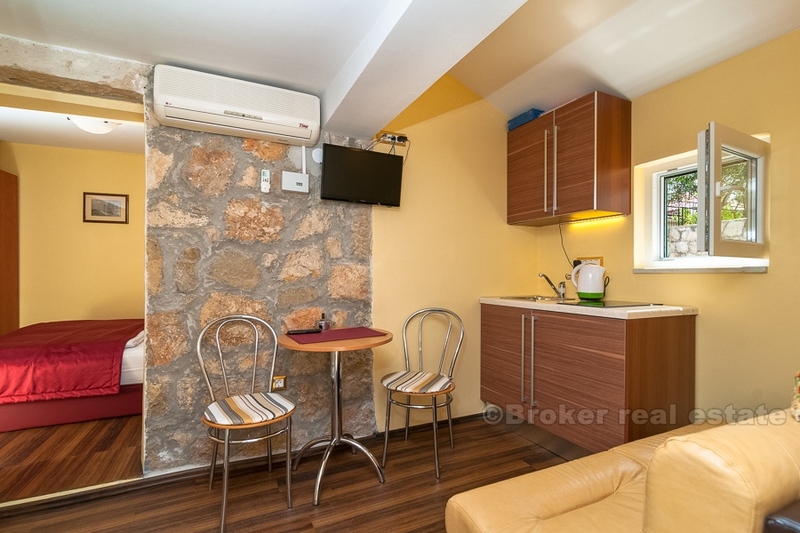 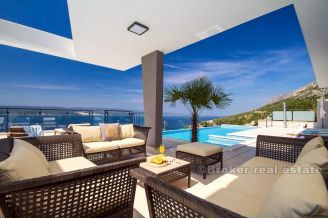 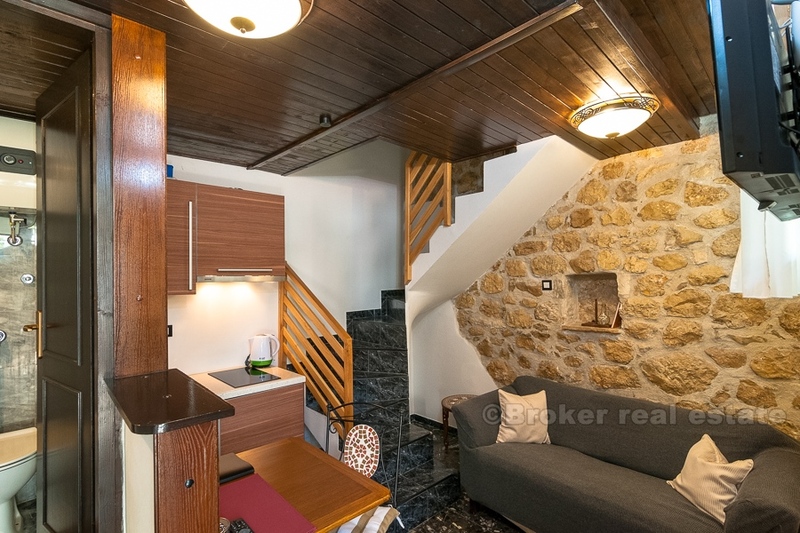 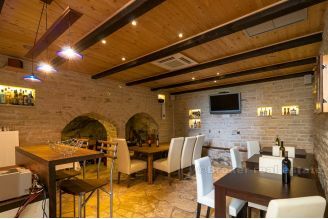 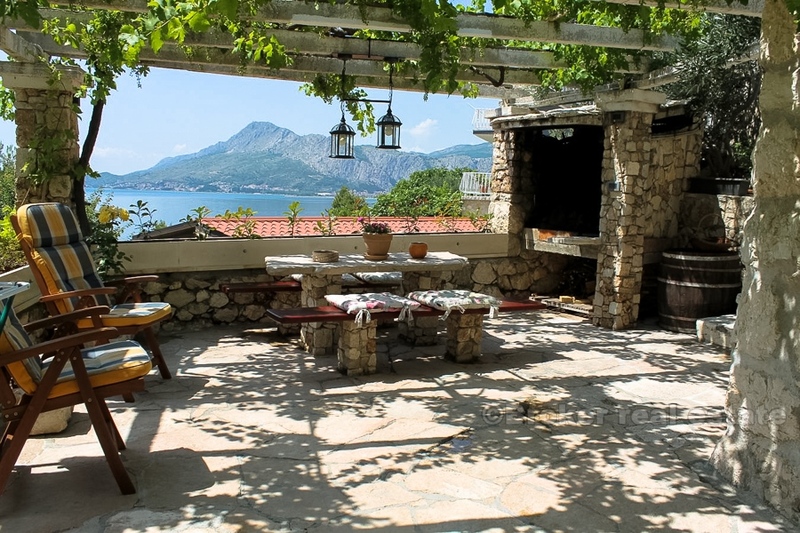 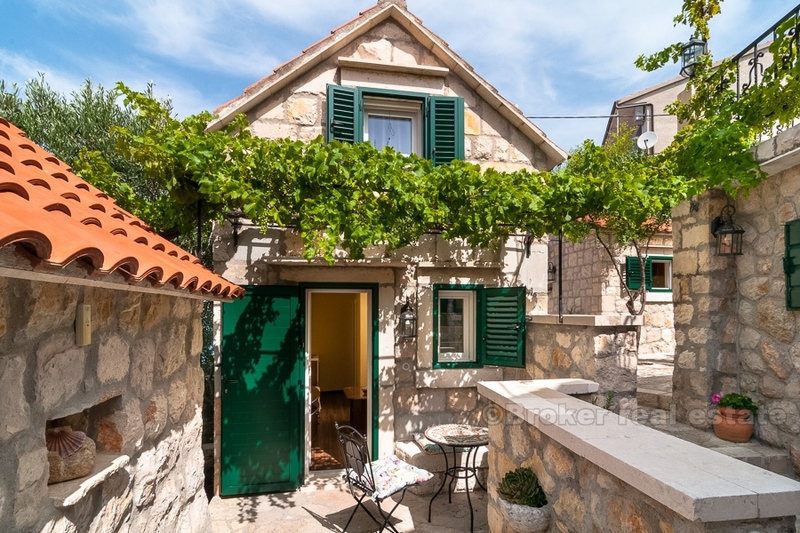 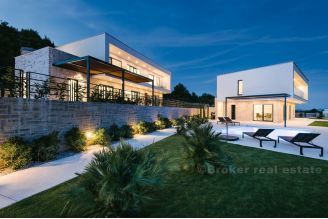 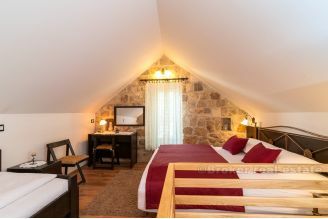 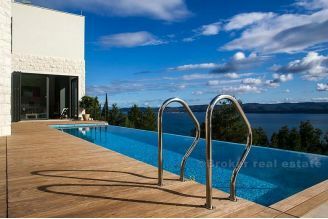 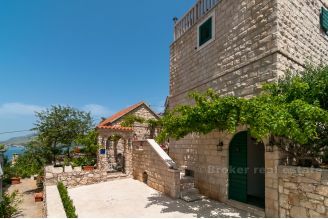 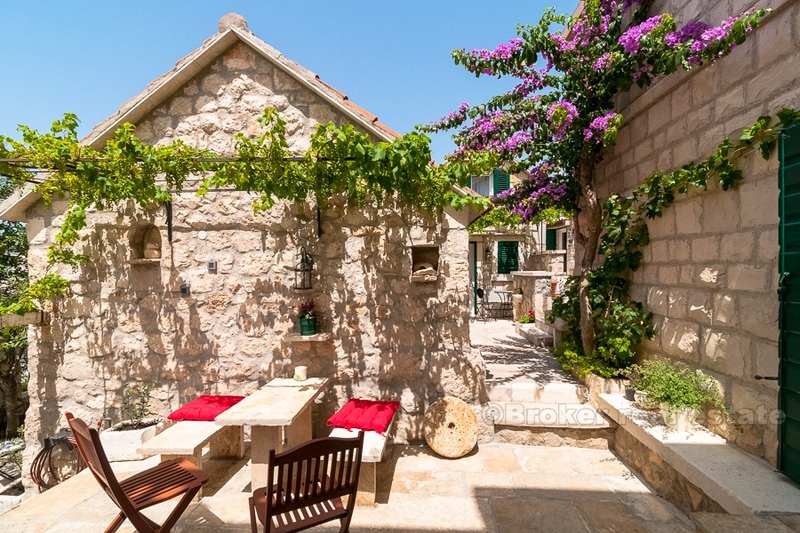 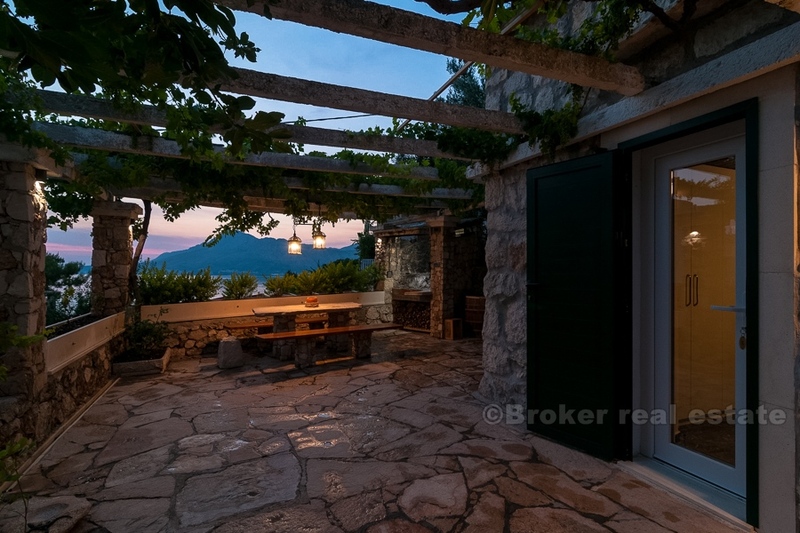 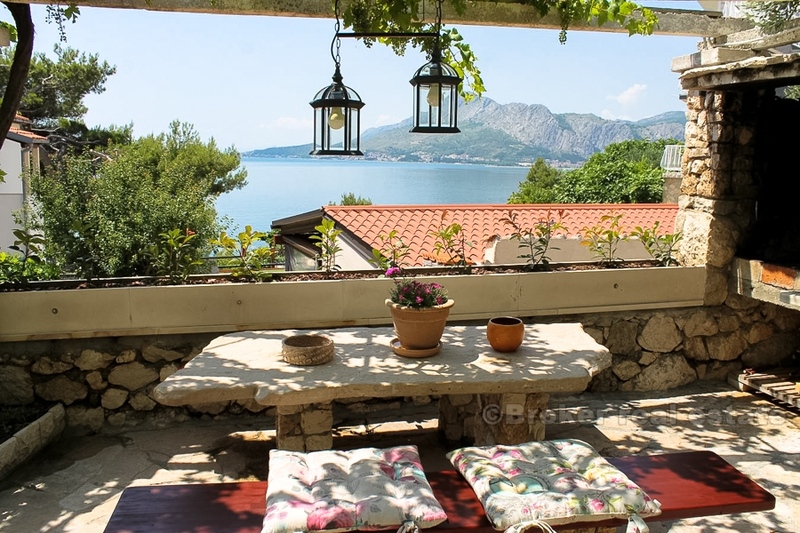 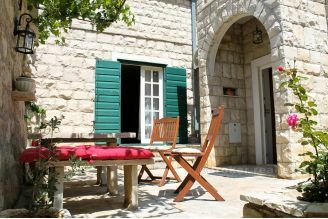 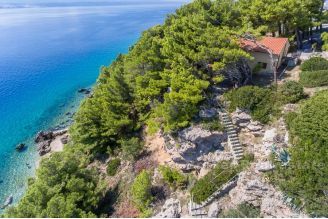 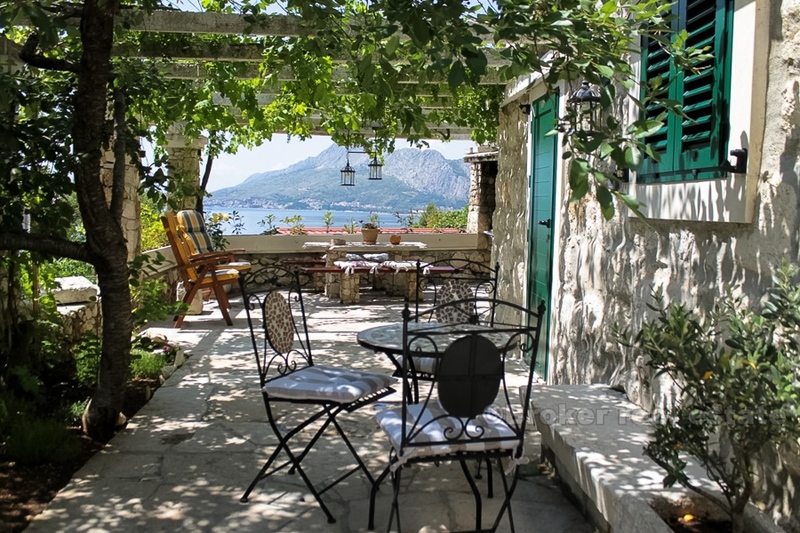 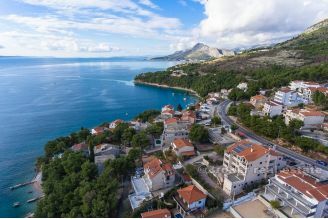 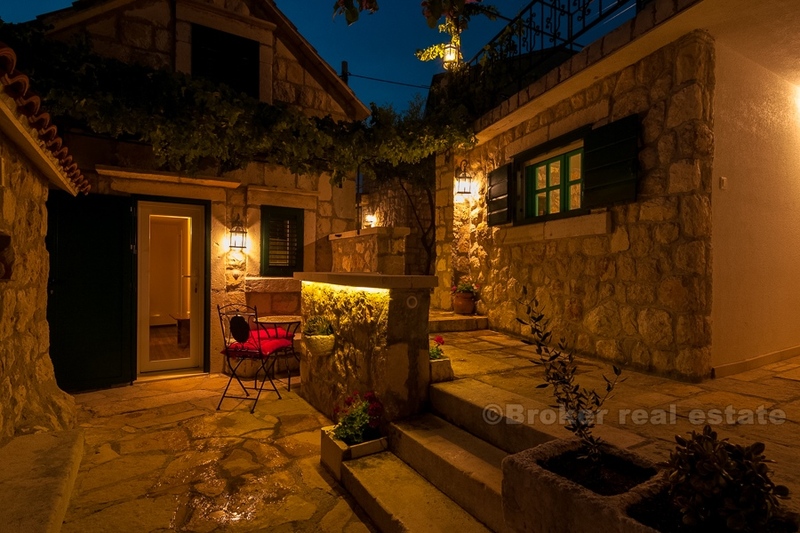 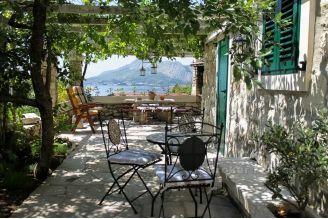 Traditional, Dalmatian stone house on Omis Riviera with an enchanting view of the sea, located only 50 meters from the beautiful pebble beach. 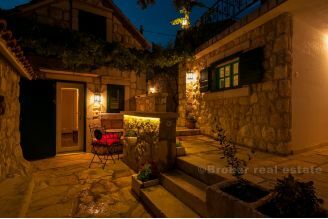 The house was renovated in 2015, fully furnished and equipped (private things the owners would take with them). 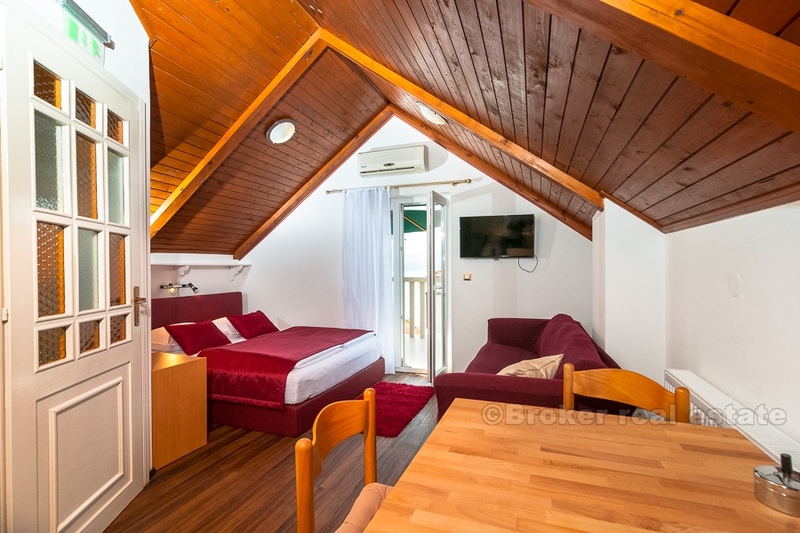 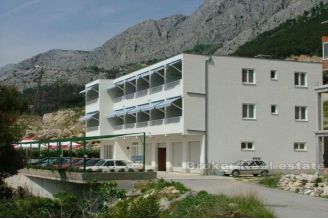 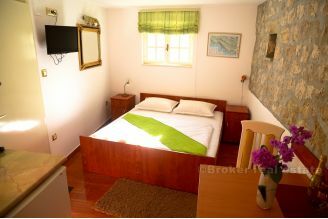 The property consists of one main unit / house and five separate studio apartments. 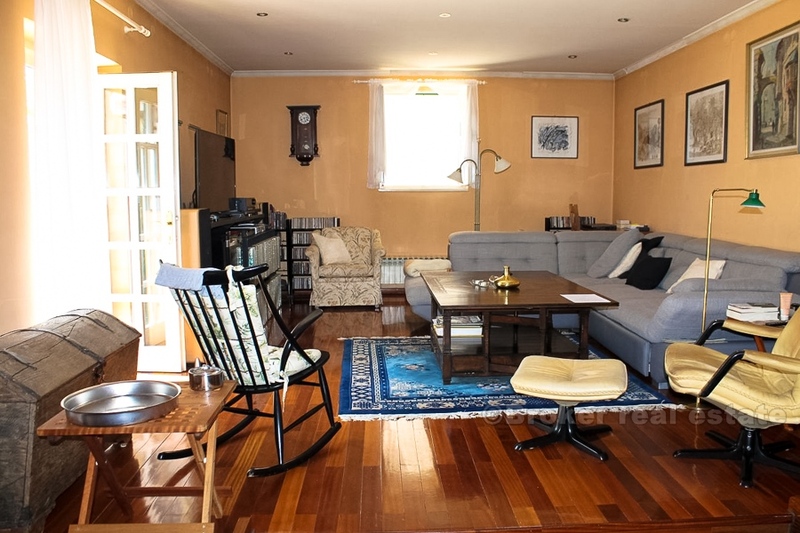 During the renovations, mostly authentic materials, such as stone and wood, were used which finally enabled the house to "spring" with a pleasant and warm ambience, where everyone would feel comfortable. 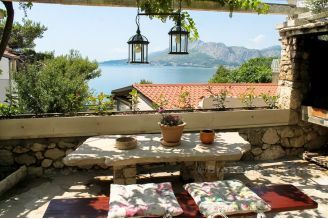 Also, new installations were place in certain parts. 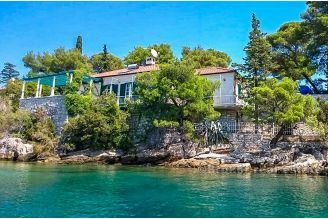 The house has established business in tourism, and as such is a great opportunity for investment and return of invested money. The orientation of the house is east-west. The property has a very good access through paved road. 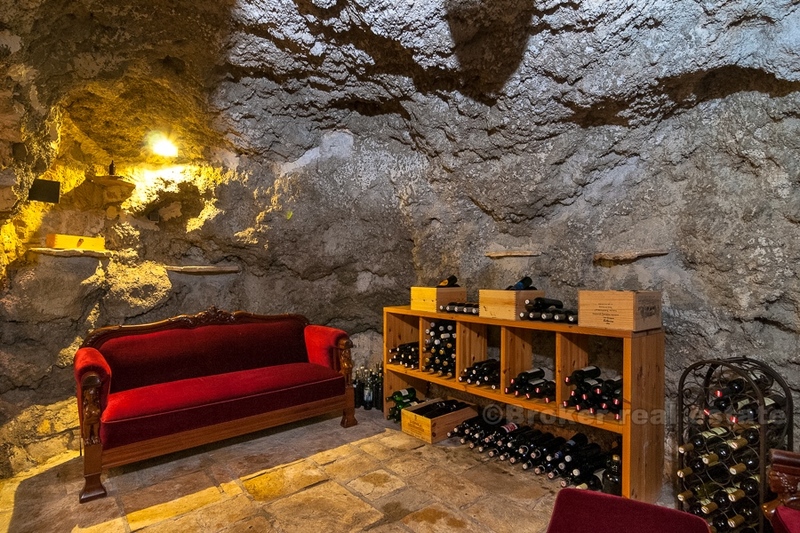 A special lure is given to her by the beautifully decorated tavern in the basement of the house, where there is also a small cave, which the owners retained in their original form during the renovations. 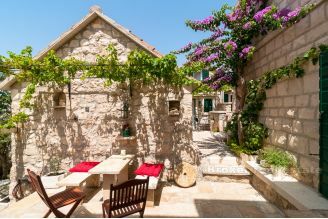 The exterior consists of a nicely decorated courtyard with an open fireplace, carefully decorated horticulture and garden furniture, from where it offers an open sea view. 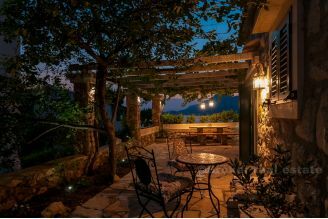 A unique oasis of peace, designed to enjoy your friends and family gatherings. 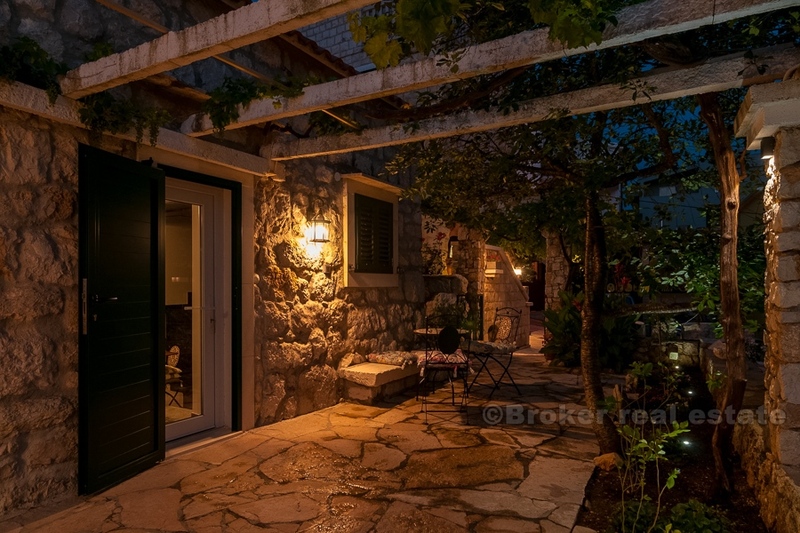 The house has a garage and three outside parking spaces. This charming house exudes a true Dalmatian atmosphere that you can easily fall in love at first glance.